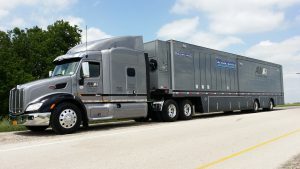 All Mobile Video (AMV) debuted a new remote truck in late February 2016 at iHeartRadio’s inaugural iHeart80s Party in Los Angeles with 11 Focusrite RedNet converters installed to handle management and distribution of the audio communications, IFB and camera control circuits throughout the video and audio production environment. The iHeart80s Party, produced at the 17,500-capacity Forum in Inglewood, California, featured 1980s music legends Culture Club, Billy Idol, Missing Persons, Rick Springfield, Loverboy and Tears For Fears, as well as DJs and VJs from the decade. The RedNet system, combined with an RTS ADAM® Frame with OMNEO® media networking option, has been implemented initially to distribute audio communications over the Dante™ network to audio and video production personnel. Vysick already had a couple of Focusrite RedNet units when he began designing this new truck, and was particularly attracted to the front panel metering features. “Dante as a platform is so new that there’s a limited amount of test equipment out there,” he says. “The metering built into the front panel of the RedNet devices is important because I get a visual confirmation that the signal is hitting the converter when I talk. It provides an important level of confidence in that way.” Plus, he says, RedNet just plain sounds good. “A lot of what we do is music, so the sonic quality has to be there, even for intercoms.” RedNet and Dante are also providing some very practical benefits. As Vysick explains, the use of networking helped eliminate at least 15 patch bays and the associated cable runs, saving a tremendous amount of weight—a critical factor in a truck’s design and its operational costs, including, over the road tariffs, fuel and tires. 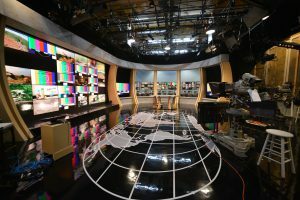 The networking capabilities of the RedNet system enable AMV to deliver Dante from the truck to anywhere within the remote production set-up. “Basically, we’re able to bring intercom directly to the stage,” he says. 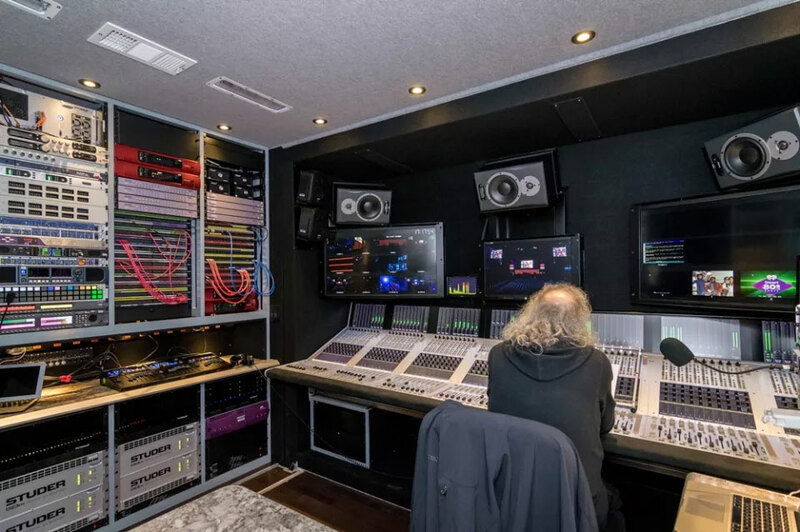 “It’s changing the way that we’re working, and RedNet is a part of that.” Photo caption 1: The interior All Mobile Video’s Zurich truck, outfitted with Focusrite RedNet converters to handle management and distribution of the audio communications.